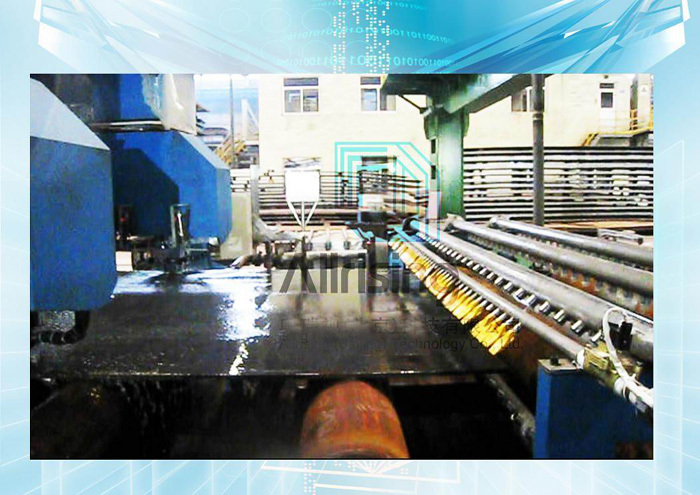 This system is currently on the market for steel plate in the demand for high speed automatic detection of the most complete solution, can be arranged for the offline or online. 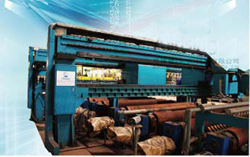 This system can be realized in the thick steel plate 100% of the overall inspection and testing standards based on the quality of automatic classification, proved accurate within the mixed plate, delamination, shrinkage, holes, white point, bubble, crack inside, loose, etc. 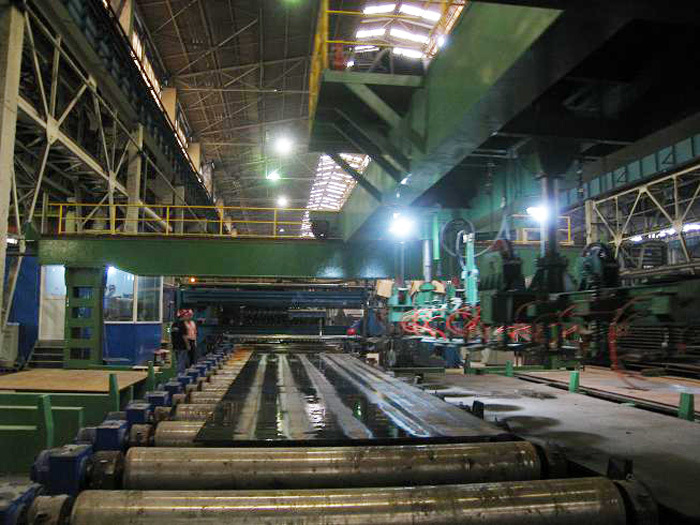 small defect location, size and shape, and can detect the thickness of steel plate. 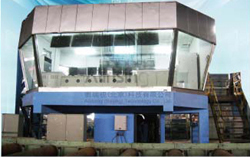 This system, including highly integrated ultrasonic testing with independent intellectual property rights of electronic equipment, innovative mechanical scanning devices, optimizing the detection process, powerful automated testing software and evaluation system, overall performance indicators have reached international advanced level. 2. Price of probe and other consumes accessories are cheaper (such as probe configuration for product of another company is more than 5000USD per one. 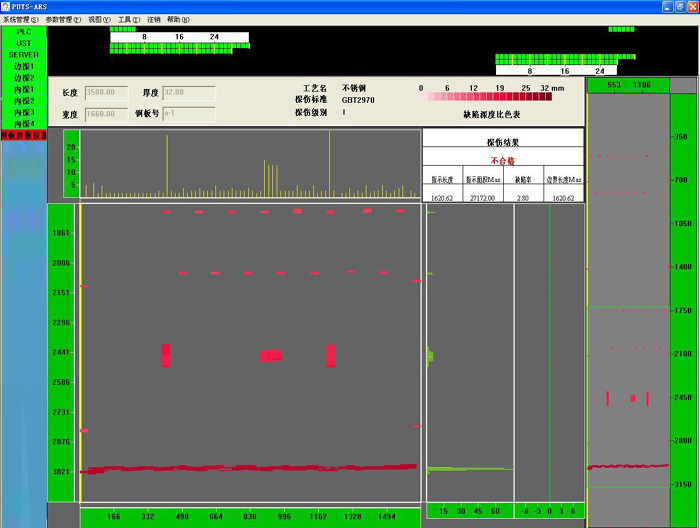 but the probe configuration for our system only need 300USD. 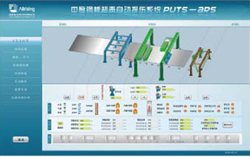 an assembly line will consume more than 300 probes, on the probe can help customer to save more than 1,500,000USD. 3. Suit for inspection of more kinds of plate shape and different type, specification, the adaptability is better. 4, Software functions more than another company's product. This system in China had sell a lot, the feedback of user is very good, the product has a great potential in the market.